Hamas is not alone in brainwashing their children with talk of death. Palestine Media Watch documents how Fatah has been encouraging their children with talk of death for over ten years. Kids are "created to be fertilizer for land of Palestine, to saturate land with their blood"
PA TV narrator: "In the refugee camp Ein Al-Hilwe [in Lebanon], a rally was held in celebration of the [47th] anniversary [of Fatah]. A political symposium was also held on the occasion of the event." and for our pure land to be saturated with their blood"
The essay below appeared in the February 24 edition of the Forward. The recent mini-drama of Rabbi Aryeh Ralbag’s suspension as chief rabbi of his native Amsterdam for signing a document about homosexuality, and his subsequent reinstatement, might well serve as a spur for considering the traditional Jewish attitude on the matter. Whether homosexuality is fixed or changeable is an open question. There are well-informed people on either side of the issue. Whether the Jewish religious tradition is fixed or changeable, however, is not arguable – at least not for Torah-loyal Jews. The Torah explicitly prohibits homosexual contact (whether by the homosexually inclined or anyone else). There have been Herculean (and often Bullwinklian) efforts in recent years, even by some nominally “Orthodox” Jews, to cast the Torah’s explicit prohibition of male homosexual activity as meaning something other than what Jewish tradition has understood it to mean for several thousand years. But those millennia in the end are what matter to Jews concerned about what the Torah says to them rather than what they would like the Torah to say. The Middle East Sampler 2/29/2012: Has Abbas Done Anything For Peace? What is the alternative to a one-state solution? A two-state solution -- a Palestine in the West Bank and Gaza with its capital in East Jerusalem. Why is the one-state idea getting some airplay now? In part because there is little hope at the moment of seeing the two-state solution being implemented. Whose fault is that? Everyone's, including and especially Hamas's, which controls half of would-be Palestine, and Benjamin Netanyahu's, for failing to convince just about anyone that his embrace of two-statism is sincere. First of all the equivalence between Hamas and Netanyahu is repugnant. But does Goldberg have any proof for his assertion? Iran has the most successful record in terms of human rights among Muslim countries in the contemporary world, Iranian Foreign Minister Ali Akbar Salehi said on Monday. Salehi made the remarks during a speech at the 19th session of the United Nations Human Rights Council, which opened in Geneva on February 27 and closes on March 23. In his speech, Salehi said that Iran has made considerable achievements in the field of human rights, adding that the elections that have been held in the country prove the democratic nature of the Islamic system. At least he limited himself to only the Middle East--and only among Muslim countries. Still, Salehi does seem to have a short memory. Karim Sadjadpour, an associate at the Carnegie Endowment for International Peace, over the past 2 years has come up with lists of the various human rights abuses that Iran has been racking up over the years. Here’s what you need to know about the current U.S. debate on energy. Stick with me through some numbers and we’ll arrive at a very important conclusion. According to the U.S. Energy Information Administration (EIA), the official government agency for such statistics, world energy consumption will rise by 53 percent between 2008 and 2035, mostly (85 percent) due to non-Western use. Petroleum—and this is according to Obama’s “employees,” will only decline from 34 percent in 2008 to 29 percent of the total world energy use over that period. In other words, over the next almost quarter-century, only 14 percent of current petroleum usage will be replaced by all other fuels, including algae, nuclear, solar, vegetable, and wind. And because overall consumption is rising, oil consumption will actually rise from 85.7 million barrels a day in 2008 to 111.2 in 2035. On February 26 and 27, there was an International Conference on Jerusalem in Doha Qatar. It featured participants from all over the Middle East. Among those speaking was Mahmoud Abbas, the President of the Palestinian Authority and Israel's supposed peace partner. Elder of Ziyon analyzed his speech. In 1967, the eastern part of Jerusalem was essentially a neglected slum. There was even a UNRWA refugee camp called Mascar in the old Jewish quarter that UNRWA closed - in 1965! - because conditions there were so horrendous and unsanitary. Much written and said about the Middle East has always been fantasy. But nowadays the proportion of fantasy to reality is higher than ever. And number one on that list is the war hysteria with Iran. Israel may have to attack Iran some day. But not this week, month, or even year. That's true for very good reasons. Iran doesn’t have deliverable nuclear weapons. It is not about to have deliverable nuclear weapons. Israel is not about to attack Iran. The United States is certainly not about to attack Iran. The whole idea that the leaders of Iran are crazed suicide-oriented people who expect the twelfth imam to arrive next Thursday is simply not true. This article by Anne Bayefsky appears today on FoxNews.com. On Monday the UN opens two major human rights meetings, the annual session of its top women’s rights body, the Commission on the Status of Women (CSW) in New York, and a month-long session of the Human Rights Council in Geneva. Lecturing Americans about human rights protection from the UN-provided podium will be CSW member Iran – where women are stoned to death for adultery – and Council member Saudi Arabia – which regularly lops off heads for all kinds of offenses. The Hamas prime minister of Gaza on Friday expressed support for Syrian protesters seeking to overthrow President Bashar Assad, the first time a senior Hamas leader has publicly rebuked the group’s longtime patron. Ismail Haniyeh said after Friday prayers at Egypt’s Al-Azhar Mosque that Hamas commends "the brave Syrian people that are moving toward democracy and reform." The question that remains is what are the actual consequences of Haniyeh openly declaring the Hamas split from Assad's Syria. I don’t understand — and I haven’t seen anyone even try to explain it — why the Republican presidential candidates keep subjecting themselves to politically partisan, hostile journalists being in control of their debates. These journalists have been highly partisan previously, seem to shield President Obama from criticism, and go on the offensive to try, for example, to turn the whole debate into the pretense that these candidates want to make birth control pills illegal. Why didn’t these candidates just get together, especially now that there are only four left, to choose their own panel, say with each of them picking one questioner? Whenever Newt Gingrich challenged the premises — and honesty — of the questioners, he was met with wild applause, because both the mass media’s bias and the need to challenge it openly couldn’t be more obvious. But, you might ask, does it make sense to go to war with the mass media? Of course not, unless it is already at war with you. Nothing like this has been seen in America for a century or even two. The main newspapers and television networks are determined to reelect Obama, to promote the currently dominant leftist (not liberal) ideas without limit, and to smear or slander critics. "On the Mount of Olives"
Some days ago, I sent out an e-mail about a 16 month old boy -- Rafael Zakkai Avraham ben Yakira Avigael -- who had a very rare cancer in the spine. The situation sounded dire and I asked for prayers. The news now is that the child was misdiagnosed: the tumor in his spine is benign. The parents were very cautious about accepting this new diagnosis prematurely, but have now had confirmation from two labs. Baruch Hashem. What this means is that this poor baby will not need intense chemotherapy, and the tumor will not metastasize. But he will still require complicated surgery on his spine. The prayers are working, writes the mother -- please, keep praying!! Now to the Mount of Olives (Har HaZeitim), which is on the periphery of eastern Jerusalem. Found on the Mount is the oldest cemetery in Jewish history, dating back 3,000 years and containing some 150,000 graves. The earliest burial caves date from the First Temple; the cemetery is still actively in use today. The Mount of Olives cemetery truly is a national heritage, to be preserved and treasured. Unfortunately, the cemetery is in trouble. In February 2012, the anti-U.S. campaign was joined by Egypt's Islamists. Though they had previously made it a point to avoid any direct dispute with the U.S., as Egypt's conflict with the latter intensified they could no longer remain on the fence. Senior officials in the Muslim Brotherhood's (MB) Freedom and Justice party, for example, warned that any cuts in U.S. aid would be met with a review of Egypt's peace agreement with Israel, as U.S. aid was a condition of the agreement. Dr. Rashad Bayoumi, deputy to MB General Guide Muhammad Badi', claimed that U.S. Ambassador to Cairo Anne Patterson was striving to incite fitna (civil strife) in Egypt, just as she had committed crimes in Pakistan. He added that Egypt had no need for U.S. aid, which he described as tainted and as an impediment to a free Egypt. Likewise, Egypt's Salafi circles could no longer remain neutral on the issue. Salafi Sheikh Muhammad Hassan, formerly close to Mubarak and currently to the SCAF, launched an initiative to raise donations for the purpose of helping support Egypt's economy so that it would not have to rely on U.S. aid. The initiative won avid support among the Egyptian public; Egyptian businesses, both large and small; Egyptian businessmen and workers, who contributed portions of their salary; Egyptian banks, which paid their taxes early; and even prisoners. The initiative was even taken up by the sheikh of Al-Azhar. Barry Rubin, for a while, has been writing that the Islamists, despite Western claims otherwise, has been working with the military to stifle dissent. The Muslim Brotherhood's support of the military crackdown on NGO's is the latest (and perhaps most blatant) example of this alliance. Migron is a community established in 1999, on a hill northeast of Jerusalem -- between the communities of Ofra and Geva Binyamin. Today, with over 250 residents, it is the largest of the so-called "illegal outposts." Migron is not an illegal outpost. It's a community where then-Defense Minister Moshe Arens and the [army's] GOC Central Command stood beside the cornerstone at its founding. But, in 2005, a very dubious "Sasson report" made the claim that it was established on Palestinian land. From time to time, we hear about criticism of Israel's law of return, which gives preferential treatment to those with Jewish parents when it comes to acquiring citizenship. What critics overlook is the just how widespread and accepted the policy is. a social policy by which citizenship is not determined by place of birth but by having one or both parent who are citizens of the nation. It contrasts with jus soli (Latin for "right of soil"). Man: What have you got? Waitress: Well, there’s egg and bacon; egg sausage and bacon; egg and spam; egg bacon and spam; egg bacon sausage and spam; spam bacon sausage and spam; spam egg spam spam bacon and spam; spam sausage spam spam bacon spam tomato and spam,,,,or Lobster Thermidor au Crevette with a Mornay sauce served in a Provencale manner with shallots and aubergines garnished with truffle pate, brandy and with a fried egg on top and spam. Westerners tend to believe that the debate in the Arabic-speaking universe is sort of like debate in the West. Despite differences there is supposedly pragmatism, a strong sense of reality, and the underlying desire for material prosperity, stability, and peace. Of course, such things exist but often there is a strong element of fantasy and a powerful dose of hatred. Consequently, the policies and results are commensurate with that input. And remember that Secretary of State Hillary Clinton said that al-Jazira is a source we should look to for real news. Here is a pretty typical example of a recent al-Jazira program. The Russian guest is a vicious antisemite who writes articles accusing Israel of being responsible for all of the world’s problems and especially those of the Middle East. He supports the Syrian regime. The Arab guest is a supporter of the Syrian revolution. But both of these men–who are on the opposite side– agree that the Jews are behind everything! There is no leader with a record that matches that of Prime Minister Netanyahu with regard to recognition of the dangers of Iran. He was addressing this issue in various forums -- again, and again, and again -- at a time when most world leaders were paying no attention. This week Netanyahu is scheduled to travel to North America, and, on March 5, will be meeting President Obama -- who does not exactly see eye-to-eye with him on this issue. For all the public declarations by US officials meant to assuage concern and demonstrate that the US and Israel are on the same wavelength regarding Iran, it is clearly is not the case. The US does not want Israel to attack Iran. Just how far apart on Iran the US and Israel appear to be is demonstrated by an article in Israel Hayom today. A "deeply troubling" International Atomic Energy Agency (IAEA) quarterly report released on Friday indicated "Iran had increased the pace of its uranium enrichment program in recent months at the Natanz facility in central Iran and the Fordo underground facility near the ancient holy city of Qom." "The IAEA report provides more proof that Israel’s estimations were accurate. Iran is continuing with its nuclear program unchecked and is enriching uranium to a high level of 20 percent while blatantly ignoring the demands of the international community." This sheds light, at one and the same time, on what Iran is doing and the failure of the community to stop it. "We continue to urge Iran to abide by its international obligations, and that is something that countries everywhere do, and we want to see them do it, and we hope that they will be listening." No wonder the Iranians think they can proceed with impunity. As much as Netanyahu is to be given credit for his clear-eyed position on Iran, however, he also has a reputation for caving under pressure from the US. (Consider, for example, the 10 month freeze he imposed on building in Judea and Samaria.) And there is no doubt that Obama will apply every possible pressure when they meet. To date, Netanyahu has given no indication of caving, and it may well be that this existential issue is a genuine red line for him. He has made public statements in response to international pressure -- "stop telling us what to do," etc. -- that are encouraging. And his most recent release today is in line with the others. Nevertheless, the situation is worrisome. For this reason, I ask every one of you on this list who agrees that Israel has a right to defend herself as her leaders see fit -- without interference from the US -- to please write to Prime Minister Netanyahu now. You are to be congratulated for recognizing the dangers of Iran as other world leaders have not. It is clear that you understand that Iran cannot be permitted to become a nuclear power. I implore you, do not let President Obama pressure you or dissuade you from your path. If you are Israeli, tell him you count on him, as your prime minister, to keep this nation safe. If you are American, tell him that you do not agree with the position of your president. As I have mentioned before, the question of timing of an attack is critical -- and there is disagreement between Israel and the US regarding how long it is possible to wait before attacking. Obama and Netanyahu will likely focus on precisely this issue. The US maintains that sanctions can work but need more time. On this see Dore Gold, who says precedents of other nations against whom sanctions were levied indicate that it would take some nine to 12 years in the case of Iran, while it is predicted that Iran will be nuclear in somewhere between several months and two years. Read Can sanctions stop Iran? Israel sees a closing window of opportunity for attack because Iranian nuclear facilities are in the process of being hidden deeper underground in very highly fortified bunkers, which will make it more difficult to hit them. Totally aside from military considerations, there are peripheral political issues in play, and they should not be discounted either. "...the prime minister's associates are engaging in contacts vis-à-vis the White House, aimed at drafting a joint Israeli-American declaration on Iran, to be issued in the wake of the Obama-Netanyahu meeting." This is particularly important to the US in order to demonstrate that the two nations are on the same page. Netanyahu, says this report, is seeking a commitment from the US to "further tighten sanctions," which the Americans are considering. If the goal is to stop Iran without resorting to military action, it would seem to me that this should be a given. But the US, reportedly, would do this only as quid pro quo: the Obama administration wants a commitment from Israel not to strike Iran in the "near future" (however this is defined). Please keep in mind that whatever reports such as this indicate, we will not actually know what goes on in discussion between Netanyahu and Obama. Only they and a very small cadre of insiders will know. We simply cannot predict how this will play out. As unlikely as it seems to many observers here, it is possible, for example (and this is purely speculative), that Obama will tell Netanyahu that if he waits absolutely as long as possible to give sanctions a chance, and it then becomes necessary for Iran to be attacked anyway, the US will provide back-up and additional weaponry for Israel. Netanyahu has apparently ordered his ministers to deliver no public statements about Iran prior to his visit to the US. This is absolutely as it should be. There has been entirely too much talk already at official levels. The prime minister has also temporarily halted all construction beyond the Green Line so as to not risk incurring the anger of the US while he is the midst of sensitive discussions. That the situation should be this tenuous is regrettable: we have a right to do this building. But, if the halt is truly temporary, I would say that it is understandable, in light of the weight of the issues to be discussed in Washington. Those Americans who are opposed to an attack on Iran not infrequently voice concern that America is about to be involved in an extensive ground war in Iran -- something that would not be sustainable in light of similar recent US experiences in Iraq and Afghanistan. No one is suggesting that Iran be conquered and its regime overthrown! No one wants to go looking for the mullahs in hiding or the Revolutionary Guard leadership. That, indeed, would require ground troops battling for a lengthy period. All that is envisioned is a massive bombing operation that would take out key nuclear installations and, most likely, other military installations (launching sites, communications centers, whatever) to prevent a major Iranian response. What had to be done would be accomplished by planes and missiles. Nor is there reason to think that the US would have to send troops into Iran to deal with any possible response from Iran. Simply not the case. "Persistent reports over the last decade suggest that Saddam Hussein smuggled elements of his WMD programs to Syria before he fell." The major concern, Ben David explains, is that in the current climate of extreme instability in Syria these weapons might fall into the hands of terrorists. "More importantly, the destruction of Assad’s WMD and missile arsenal, which today threaten Turkey, Israel and ships in the eastern Mediterranean, would be a powerful signal to the ayatollah regime in Iran to 'cease and desist' its nuclear weaponization program. It would be proof that indeed 'all options are on the table' — including wiping Syria’s table clean." I believe this to be a proposal with genuine merit, which requires traction. As you are able, please share this with your Congresspersons and others in government. Lenny Ben-David, now a public affairs consultant, served as deputy chief of mission of Israel’s embassy in Washington. -- Last week, a bomb, which had been hidden in a bag and thrown over the border from the Sinai to southern Israel, was intercepted. There seems little doubt that this bomb, which was to be remote activated, was intended to be picked up and utilized for a major terror attack in a mall, bus, or other site. When it was detonated, shrapnel flew from its interior, indicating how serious was the intent to do injury. -- The Hamas-Fatah "unity" is on hold, with each side accusing the other of being the stumbling block. Not a huge surprise, but a bit of a disappointment, truth to tell. If Fatah does not "merge" with Hamas we're going to be pushed, once again, to sit at the table with Abbas and to make "gestures" to him. People will conveniently forget that Abbas was willing to join forces with Islamist terrorists. -- In Haifa on Friday night, two off-duty soldiers in civilian dress were brutally attacked by a group of Israeli Arabs, at least one of whom was drunk. The attack took place near the entrance to Rambam Medical Center, where they had gone because one of them was ill. There was no provocation. "Are you Jews?" they were asked, before being attacked by clubs, rocks and planks of wood. They have both been hospitalized, one with spinal injuries and the other with head injuries. Four men have been arrested in connection with this attack, which the police call "a very serious incident." Last night I attended a major program on Har HaZeitim (Mount of Olives), at the Great Synagogue in Jerusalem. The issues regarding Iran and Syria that I wrote about above had precedence today. I simply want to mention the program here, with a promise to devote a major part of my next posting to this subject. © Arlene Kushner. This material is produced by Arlene Kushner, functioning as an independent journalist. Permission is granted for it to be reproduced onlywith proper attribution. Technorati Tag: Israel and Iran and Netanyahu. In September 2001, the participants in the Non-Government Organization Forum of the United Nations Conference on Racism and Discrimination in Durban, South Africa, welcomed Palestinian leader Yasser Arafat, distributed anti-Semitic literature, and adopted a declaration branding Israel as "a racist, apartheid state" practicing "a crime against humanity". This form of political warfare was led by the Palestinian leadership and the Organization of the Islamic Conference, and the text was written at a Tehran preparatory conference from which Israelis and Jews were excluded. The Durban NGO Forum marked the launch of another major round of political warfare against Israel, seeking to delegitimize Jewish national self-determination. Labels: BDS, Is Israel Really Apartheid? Several hundred Palestinians clashed with Israeli police at Jerusalem’s holiest site on Friday, after calls posted on right-wing Jewish Internet sites for Jews to push Muslims from it prompted Palestinians to mass there in resistance. Anticipating trouble, police officers, as well as Palestinian news photographers, gathered at the site of the expected standoff, the plaza by Al Aksa Mosque and the Dome of the Rock, two of Islam’s holiest shrines, which sit above the remains of two Jewish temples. Tensions have always been high over control of the space, known to Jews as the Temple Mount and to Muslims as the Noble Sanctuary. The "right-wing Jewish Internet sites" had a call for the Jews to take over the Temple Mount, falsely made in the name of Likud politician, Moshe Feiglin. As a precautionary measure, two weeks ago Israeli police barred Feiglin from his usual visit to the Temple Mount. Similar sentiments have been posted at the same site since then too. Apparently these are limited to the internet. Makor Rishon reported some statistics. In January, 1,119 Jews visited the Temple Mount. In 2011, some 9,000 Jews visited, among 370,000 tourists. This is a manufactured hysteria that is meant to incite Muslim Arabs against Jews and to try to pressure Israel to ban Jews from their holiest spot. In addition to missing the story of Feiglin's being barred from the Temple Mount, the New York Times missed the Palestinian incitement, which "prompted" Palestinians to offer "resistance." What other news from Jerusalem did the New York Times miss on Friday? Two US congressman were attacked by rock-throwers on Friday in front of a mosque in the Ras Al-Amud neighborhood of Jerusalem. Congressmen Eliot Engel and Jerrold Nadler from New York State were on a tour of the Mount of Olives Cemetery, along with Executive Vice Chairman of the Conference of Presidents of Major American Jewish Organizations Malcolm Hoenlein, and Rabbis Abraham and Menachem Lubinsky, founders of the International Committee for the Preservation of Har HaZeitim. Their tour, which included some 40 Jewish American leaders, was guided by JewishPress.com Managing Editor Yishai Fleisher. Two local congressman were attacked and it didn't make it into the New York Times's coverage. 2) Too much news from Israel? If you read the report in Al Arabiya, you will find out the same information. While the focus of the Al Arabiya article is on the protests following the death of the protester, the rest is barely distinguishable from what was reported in the New York Times. Arab press, including Palestinian and Jordanian newspapers, wrote a number of inflammatory articles about right-wing attempts to exert sovereignty over the Temple Mount, which incited worshipers to riot on Friday following weekly prayers. ...Police raided an apartment in Jerusalem's Ramot neighborhood overnight on Monday and found extremist right-wing materials related to the Temple Mount, including flyers from an extremist website. Police arrested one activist and took him for questioning. The activist is familiar to police as one of the central figures in the extremist website “Our Temple Mount,” said Jerusalem police spokesman Shmuel Ben Ruby. Also on Friday, Conference of Presidents head Malcolm Hoenlein and US Congressmen Eliot Engel (D-NY) and Jerrold Nadler (D-NY) had stones thrown at them while visiting the Mount of Olives cemetery in east Jerusalem. 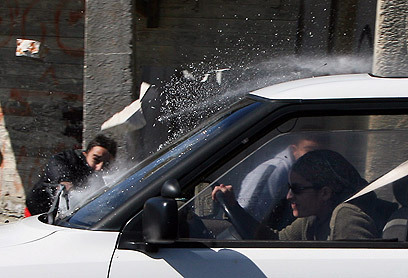 No one was injured and police pursued the stone throwers, though no arrests were made. Hoenlein is involved in efforts to improve the security situation at the Mount of Olives cemetery, including halting grave desecration and stone throwing. These three elements are all newsworthy and yet the New York Times didn't report them. This comparison is instructive because of Shmuel Rosner's recent article More of the News That’s Fit to Print! Fifteen years ago, English-speaking Israelis and tourists had only the Jerusalem Post to read. In 1997, they got Haaretz. Then over the past decade Ynetnews.com and Arutz Sheva and Israel Hayom popped up online. English-language journalism is now a very crowded field in Israel — especially if you count all the blogs and all the Israeli outcrops of American-Jewish Web sites. You’d think this would be a cause for celebration for people like me who live off Israeli journalism. But there’s a disheartening side to this story. One or two or three publications aren’t enough to make Israelis believe the news is properly covered. They need more choices and more voices, more checks and balances, more ways of comparing and contrasting the many nuances of reporting. The people of the book don’t trust the printed word anymore. First of all, Rosner's premise that somehow Israel is over-saturated with media coverage seems overstated. New York City with slightly more than the population of Israel, has 3 or 4 daily newspapers. (Depending on whether or not you count Newsday.) In addition it has a weekly paper. Rosner's synopsis later on is also troubling. “I’m sure all the Israel-based English sites feel that they add something unique to the mix — a particular agenda perhaps, or a specific focus,” David Horovitz, the editor of the Times of Israel and formerly the editor of the Jerusalem Post, told me last week. In this era of news à la carte, Horovitz’s Times seems to be eyeing a spot between the rightward-tilted Post and the far-left-tilted Haaretz, between the Netanyahu-can-do-no-right hecklers at +972 and the Netanyahu-can-do-no-wrong apologists of Israel Hayom (which is owned by Netanyahu’s and Newt Gingrich’s benefactor, Sheldon Adelson). Is the Jerusalem Post really "right leaning?" Maybe it is compared to Ha'aretz. (h/t Noah Pollak) Rosner's problem is that he looks at labels rather than the main thing the media should be focused on: whether or not it is accurate, as David Ha'Ivri recently argued. If the existing options don't have credibility with the Israeli public, they will turn to new choices. Last week the Muslim Brotherhood had a chance to distance itself from the prosecution of American NGO workers pursued by a holdover from the Mubarak regime. Instead, as the New York Times reported Egyptian Party Threatens to Review Treaty With Israel. The Muslim Brotherhood, instead of taking a stand against the military's outrageous assault on liberty; instead it supported the crackdown. Now the New York Times reports Scramble Is on to Find Deal for 16 Americans in Egypt. American diplomats, Egyptian lawyers and others involved in the case said the efforts had foundered amid a breakdown in the lines of authority within the military-led transitional government in the final months before the generals have pledged to leave power. American officials say they have tried to find Egyptian counterparts who might intercede, but Egyptian leaders say they cannot intervene in the judicial process. If the case is not resolved, Congress and the Obama administration have vowed to cut off the $1.55 billion in annual aid to Egypt, potentially rupturing the three-way alliance among Washington, Cairo and Jerusalem that has been a linchpin of regional stability. If American diplomats are "scrambling" it would appear that cutting off aid is viewed as a last resort, to be avoided at all costs. If Egypt knew that it faced a real risk of losing the aid, it would do everything necessary to free the Americans. Egypt knows that it can make America jump through diplomatic hoops with no cost. Technorati Tag: Israel and Middle East and Media Bias. They say no they're not really talking about rights. They're talking about they want to destroy Israel. The BDS movement suffered another setback, this time in France, when Pascal Binczak, president of L'université Paris-VIII cancelled a scheduled BDS symposium operating under the title "New sociological, historical and legal approaches to call for an international boycott of Israel, an apartheid state" It had originally been approved for February 27 and 28--but after having allowed it, Binczak reversed his decision and chose the cancel. This poll from the Pew Research Center came out earlier this month. A new analysis shows that the share of voters identifying with or leaning toward the GOP has either grown or held steady in every major religious group. This includes both religious groups that are part of the GOP’s traditional constituency as well as some groups that have tended to be more aligned with the Democratic Party, including Jewish voters. In general, the pattern among religious groups mirrors that among the electorate as a whole; the number of voters who identify as a Democrat has declined, while the number saying they lean toward the GOP has risen. As total and blind support for Israel becomes the only reason for choosing Rothman, voters who do not view the elections in this prism will need to take notice. Loyalty to a foreign flag is not loyalty to America’s. The Middle East Media Sampler 2/24/2012: Is Israel America's Only Reliable Ally? 1) What if it's pro-American to be pro-Israel? Israel: 71% favorable, 24% unfavorable; Egypt: 47-47; Saudi Arabia: 42-54; Libya: 25-66; Iraq: 24-72; Palestinian Authority: 19-72; Syria: 17-72; Iran: 10-87. Barry Rubin: Is Egypt about to Elect an Islamist President? Registering to run for president of Egypt will begin March 10. The military moved it up from April 15 to show that it is handing over power to the civilians. As I’ve said before, I’ve never seen any evidence that the army is not going to turn over control of the country to a new, elected president. All of the mass media and political hysteria to the contrary, the generals don’t want to hold onto the government. Has the Brotherhood’s success in parliamentary elections gone to its head? Has the weak international response to its ascendancy emboldened the Islamists to seek total power now rather than go slow and be patient? It’s starting to look that way. The Muslim Brotherhood has announced once again that it will not run a candidate for president in the elections projected for June. “The Muslim Brotherhood will not support Abdel-Moneim Abul-Fotouh or any candidate,” says Muhammad al-Badi, the leader of the Brotherhood. Here is a very worthwhile film put together by Step Up For Israel. In the mid 90's I started a weekly news sheet that carried the unwieldy title "News and comment from Israel that you probably didn't read elsewhere." In the early days of the internet it wasn't difficult to find news stories that weren't covered by the major media about Israel. Each sheet carried about four stories a week from sources such as Arutz-7, IMRA, Shomron News Service and Israel's Ministry of Foreign Affairs. There was news that wasn't getting covered in the mainstream media and I wanted others to know about it. Now more than fifteen years later, it still sometimes seems that news gathering resources are limited when it comes to certain stories. Today the news is that IAEA inspectors have left Iran after two days, having declared their mission a failure. This was both because the Iranians refused to engage with the inspectors in addressing international nuclear concerns, and because the mission -- in spite of making their request twice -- was denied access to a key military site at Parchin. "It is disappointing that Iran did not accept our request to visit Parchin. We engaged in a constructive spirit, but no agreement was reached," IAEA Director General Yukiya Amano said. But "a constructive spirit" is of no value in dealing with these guys, who are playing hardball. Did the IAEA mission really think it would be? Have The Arab Spring Dominoes Stopped Falling? The imminent demise of the Bashar al-Assad regime in Syria has become such an article of faith among many American pundits that most have come to discuss the subject as no longer a matter of if, but merely when, his fall will occur. Unfortunately, for Western talking heads as well as President Obama, who has also predicted imminent regime change in Damascus, Assad has preferred to ignore their advice and instead stick to what his family has always done best: slaughter any and all domestic foes. After watching the fall of dictatorial regimes in Tunisia, Egypt and Libya, the assumption was the logic of the Arab Spring would inevitably force out the Syrian member of a rapidly diminishing club of Arab autocrats. Few in the West believed Assad could survive. But it appears there was at least one group of observers who may have pegged the Syrian as a keeper: his Iranian allies. The news that a pair of Iranian naval vessels just left a Syrian port and are now heading home through the Suez Canal ought to have brought home the fact that the Iranian ayatollahs may understand their client better than Western editorial writers. Combined with the decision of Russia to boycott a diplomatic effort aimed at bolstering Assad’s domestic foes, it is now clear that Syria’s two major foreign sponsors have not given up on the regime. Unlike Westerners who simply took it for granted that Assad must go, Ayatollah Khamenei and Vladimir Putin have remembered an ironclad rule of history: tyrants fall when they lose their taste for spilling their people’s blood, not when they loosen the reins. After all, Assad can always look to the success of Iran in dealing with their own protests--peaceful protests that never received the full backing of the Obama administration; protests that eventually disappeared. With demonstrations against nearly five decades of Baath Party rule now in their twelfth month in Syria, Iranian opposition members are keeping a watchful eye on developments, hoping that regime change in Damascus will produce the same in Tehran. The governments of both nations have been strong allies, politically and economically, for many years. More recently, opposition members from both countries appear to be fostering closer ties and have expressed mutual support. A YouTube video posted in December, 2011, for example, purports to show a small group of Iranian activists holding a Syrian opposition flag and burning a picture of Bashar al-Assad, Syria’s embattled president. On Friday, meanwhile, 160 Iranian opposition members signed a document pledging support for and thanking the Syrian National Council, the principal opposition body outside the country. It's far from clear whether there is reason for protesters in Iran to take much encouragement from events in Syria--and even less from empty statements and condemnations from the West. With Iran and Syria appearing to be holding their own, even amidst sanctions and condemnations, the question arises: have the Arab Spring dominoes stopped falling? Technorati Tag: Iran and Syria and Arab Spring. Labels: How Much Longer Can Assad Last?, Whatever Happened to Iran's Protests? Given UNRWA's standards, eventually all humans will be Palestine refugees. In The Ever-Growing Palestinian Problem, Daniel Pipes notes how the United Nations Relief and Works Agency for Palestine Refugees (UNRWA) has mangled the definition of what constitutes a Palestinian Arab refugee. How has UNRWA allowed the Palestinian refugee problem to so get out of control? A prominent Arab supporter of New Jersey Democrat Bill Pascrell invoked the “Israel firster” specter over the weekend when he accused the state’s Jewish voters of being more loyal to Israel than America. Western governments, eager to restrain Israel from attacking Iran, would have us believe that "everyone" is against us. And, indeed, as I have indicated myself, it sure feels that way, because those who are opposed to Israeli action are the ones who are publicly vocal. They are, of course, also applying maximum pressure. On Sunday, UK Foreign Secretary William Hague gave an interview on the subject that shed light on his dangerous and distorted thinking. The Middle East Media Sampler 2/21/2012 Did Tom Friedman Believe What He Wrote 10 Years Ago? You need to face up to something: Ehud Barak gave us an Israeli peace plan, however rough. Bill Clinton then followed up with an American peace plan. Now is the time for an Arab peace plan. No more you guys sitting back complaining about everyone else's peace plans. It's time for you to put on the table not only what you want from Israel -- an end to occupation -- but what you collectively are ready to give in return. Arafat can't do it alone. You know what bugs me, guys? You want to pretend that Sharon just reappeared from outer space and that's when all the trouble started, and I'm just supporting him for no reason. That's not what happened. Sharon was unelectable in Israeli politics. What allowed him to re-emerge was Arafat's rejection of the Barak plan and the Clinton plan, and then his launching of an intifada with suicide bombings of Israeli pizza parlors. This Time Iran Is REALLY Ready To Talk! The latest in the Obama administration’s campaign to convince an already skeptical public that Iran should not be attacked – by either the US or Israel, is none other than the Hon. Dennis B. Ross. In his February 6th appearance at The Aspen Institute he expressed confidence that “the emergence of crippling sanctions” were forcing “Iran to make a cost-benefit calculation,” that “Iran was being isolated in the region,” and so the “Iranians are increasingly aware the price they are paying.” Therefore opines Mr. Ross, Iran will hopefully drop its nuclear ambitions and make an impending Israeli attack unnecessary. Labels: Is Iran Ready To Negotiate? On Saturday EU commissioner Catherine Ashton issued a statement in which she addressed the hunger strike by Khader Adnan, a senior commander of Islamic Jihad in the West Bank. Adnan was arrested two months ago and is held in administrative detention by Israel. Since then Adnan has become the new pop-cause for the anti-Israel movement. "Would you kindly ask your community to pray for my grandson? He is 16 months old and has a terrible cancer that there is no known cure or treatment for." She is particularly eager to have prayers said for him in Israel, so those of you who do live here please take note and spread the word. But wherever you live. Pray. Put his name on misheberach lists and lists for tehillim. If you would like more information, you can go to caringbridge.org/visit/zakkai. There his mother has posted his story and pictures (one of which you see above). I read the story -- which is particularly poignant -- and learned that there is no record of the type of cancer that has afflicted this child ever having appeared in a baby. The doctors are stymied. This truly is in the hands of Hashem. Here I want to return to the theme of the need for Israel to be strong in asserting her rights and sovereignty. Labels: Justifying Israeli Attack In Gaza, Preserving Israel's Holy Sites, Will Israel Attack Iran? 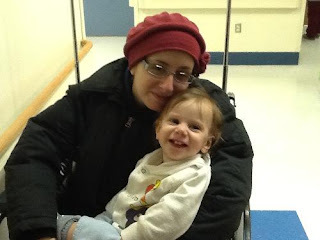 Please Go to the site for the Journal, Guestbook, Photos and to make a donation to help Zakkai Nurieli. There is also a Resource for information on diseases. Free On Kindle: "License to Murder: The Enduring Threat of The Protocols of the Elders of Zion"
Alex Grobman's latest book is License to Murder: The Enduring Threat of The Protocols of the Elders of Zion . his previous book Nations United: How The UN Undermines Israel and the West . Below is the introduction to License to Murder. Norman Finkelstein: BDS Movement is "Silly, Childish...Wants To Eliminate Israel"
Professor Norman Finkelstein is an odious character, infamous for his anti-Israel activities and his book on the “Holocaust Industry”. Finkelstein is also a supporter of Boycott, Divestment and Sanctions (BDS) against Israel. Which is why a video of Finkelstein calling out the BDS movement as dishonest is causing such a stir. Truth Behind Hunger Strike of Khader Adnan: Terrorist Leader Turned "Baker"
In statements on the hunger strike of senior member of Islamic Jihad, Khader Adnan, currently held in administrative detention by Israel, numerous NGOs and media accounts have omitted critical information in order to create a false "good vs. evil" narrative. Barry Rubin’s Israel: A Review Of Barry Rubin's "Israel: An Introduction"
Forget Frommer, Fodor or Lonely Planet. If you’re planning a trip to Israel in the near or distant future, get a copy of Israel: An Introduction by Barry Rubin, just released by Yale University Press. Yes, you will still need guides to specific archaeological sites like the City of David, but Rubin’s book, written with numerous co-writer/experts in various fields, is the best overview of the Jewish state I have read and the best preparation for a trip. It is also the best book for the armchair traveler and the best general purpose resource on Israel yet published. Rubin’s book excels in two areas: historical overview and Israeli sociology. The blog This Ongoing War--whose daughter Malki was murdered by Palestinian Terrorists--provides documentation for that fact with a chart derived from UNRWA data detailing the top 20 contributors of funding -- how many Muslim contributors can you find? “A merchant in Baghdad…sent his servant to market….The servant came back, white and trembling, and said, Master, just now when I was in the marketplace…I turned I saw it was Death that jostled me….Lend me your horse, and…I will go to Samarra and there Death will not find me. The merchant lent him his horse…and as fast as the horse could gallop he went. The merchant went down to the marketplace and saw [Death] standing in the crowd. He asked, Why did you make a threating gesture to my servant…? [Death replied]…I was astonished to see him in Baghdad, for I had an appointment with him tonight in Samarra. Nageeb Kashgari is a young man in a lot of trouble. The 23-year-old Saudi has been spirited back to his country from Malaysia in a manner reminiscent of a kidnapping to be put on trial for his life. His crime? To write three Tweets that Saudi clerics have deemed to be heretical. The lynch mob is baying for his blood. Nobody in the world is helping him. Kashgari might well be doomed, despite his quick apology and erasure of the Tweets. For details on his case and situation click here. Even if Kashgari were an atheist or someone who renounced Islam or did indeed violated its precepts his freedom of speech and religion should be defended. But what is most interesting about his case is that he did not really do any of these things. He merely expressed a liberal, modernist-style interpretation of Islam, the kind of thing that developed in Christianity—and was sometimes punished then–about 250 years ago and became very common 150 years ago. Arlene Kushner On Iran, The "Rational Actor"
"A Syrian Scorecard for Hillary Clinton"
Has 1984 Caught Up With Twitter? Iran Launches A Satellite: Jihad From Space?